Badesalz 800 gr - Bath salts - by Rohnfried that really clean up. 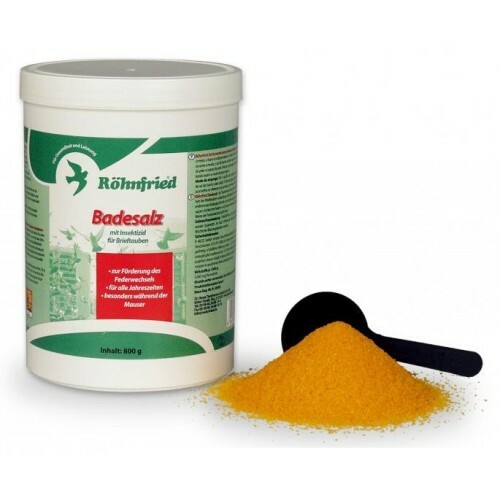 - Röhnfried Badesalz is an ideal additive to the bath water, important at any time and especially so during the moult. - The special composition of Badesalz which makes the bath water extremely soft and silky, helps to remove the dust and skin residue quickly, thus aiding the fall of the old feathers and down, especially important during the moulting period.